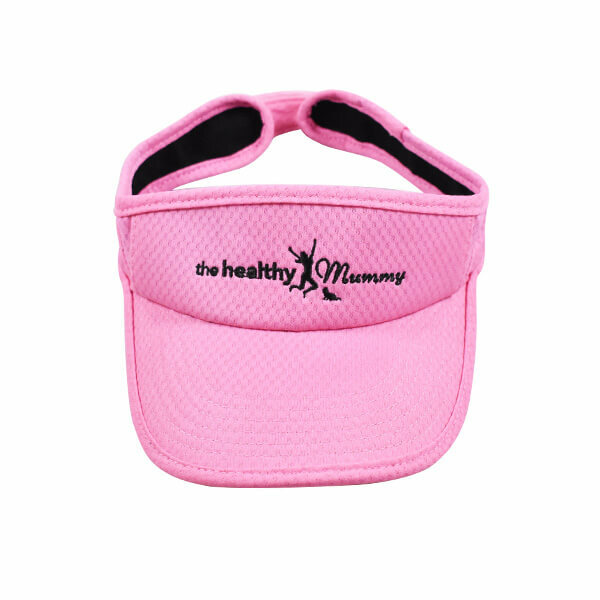 The Healthy Mummy visor is perfect for working out on those hot summer days, it keeps your face in the shade whilst letting your head breath. 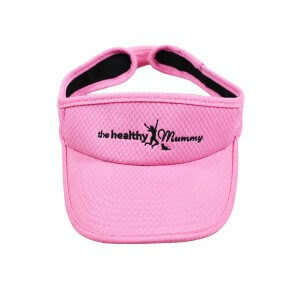 The visor is pink with The Healthy Mummy logo embroidered in black. 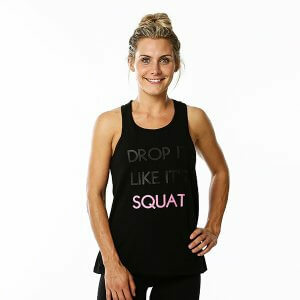 The Healthy Mummy ‘DROP IT LIKE IT’S SQUAT’ midback top is great for any type of exercise, especially our Healthy Mummy workout videos! 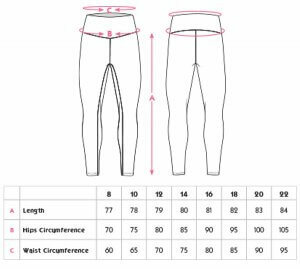 The Healthy Mummy full-length exercise leggings are designed for active Mums and come in size 8 to 22. 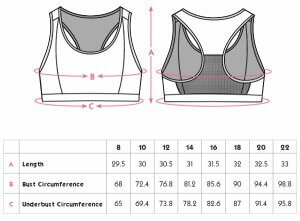 Made from high-quality materials they are completely squat proof and super comfortable! 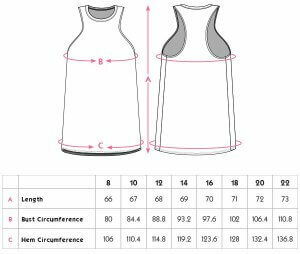 With our jumping mummy logo on the right ankle and also on the band in the centre back.